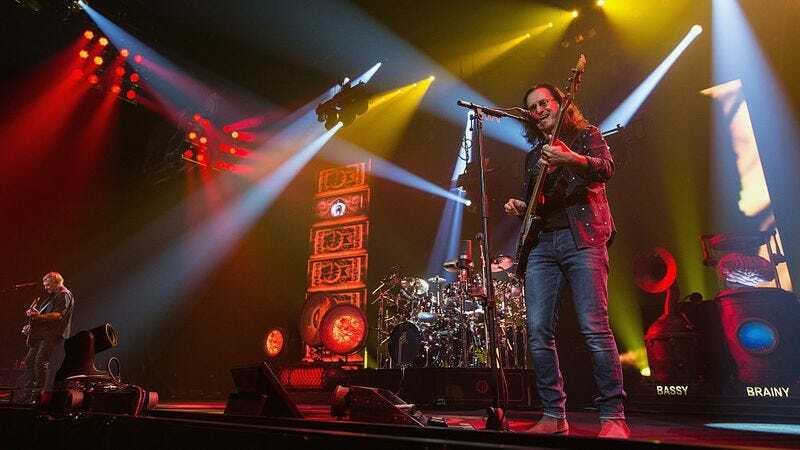 On Thursday, November 3, for one night only, Rush: Time Stand Still, a documentary narrated by Paul Rudd that looks at the legendary band’s 40-year career and what might be its final tour, will play in more than 490 theaters via Fathom Events. The event also includes a 20-minute long short, which won’t be on the home video, called “Rush: A Salute to Kings,” featuring interviews with Gene Simmons, Ann and Nancy Wilson, Taylor Hawkins, Chad Smith, and more pronouncing their fandom. Watch the trailer below and enter for a chance to win two tickets.